Pure Provence, as no guide knows it. walk off the beaten paths? taste good wine on one of the beautiful wineries? enjoy a daytrip to the Côte d’Azur? follow the footprints of van Gogh in Saint-Rémy and Arles? 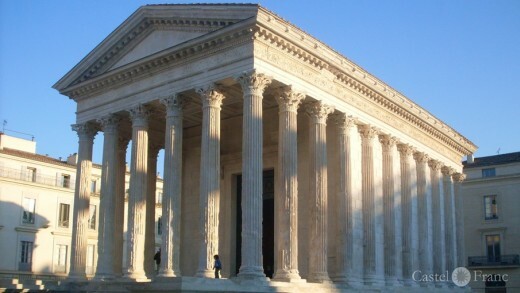 discover the Roman Provence – along the “Via Domitia”? explore the clear rivers by kayak? discover the ancient “Alpilles” – and visit some of its lovely wineries? take a pleasant stroll through the most beautiful towns of Provence? visit the most interesting museums in Marseille, Aix, Nîmes, Avignon? try a new sport (such as “stand up paddle”, archerie, fishing)? crossing over to one oft the small islands with a sea-kayak? We offer and organize all that for you! You can book for two persons a private tour, guided for half a day (120 €) or a full day (190 €). Prices für groups (up to 4 persons) on request. You don’t want to use your own car? Rather be chafeured in a convertible – or very classic in the „duck“ (Citroen 2 CV)? This is also possible! Vehicles can be provided or arranged, prices on request.